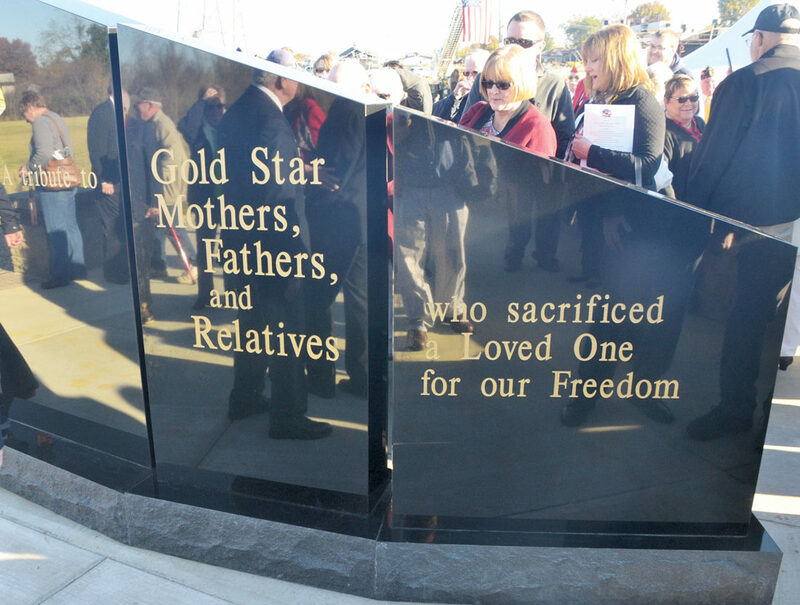 Photo by Brett Dunlap The new Gold Star Families Memorial at the new Spencer’s Landing Park along River Road in Vienna was dedicated Sunday. 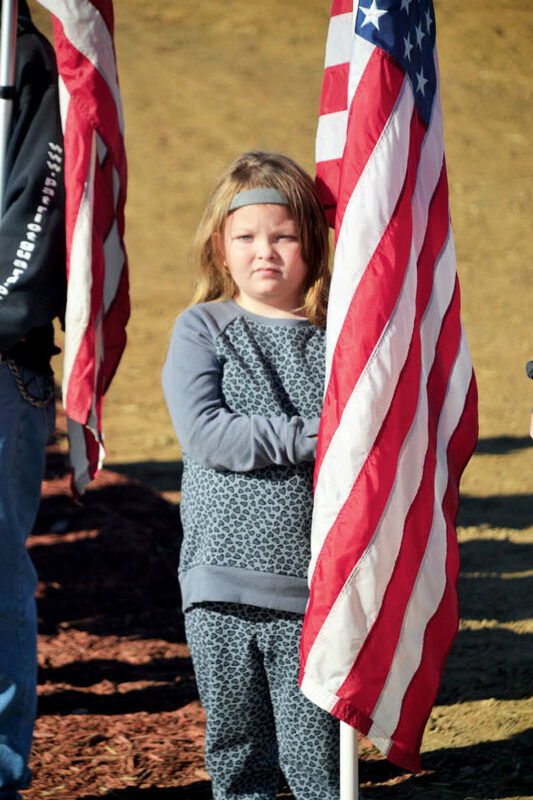 Photo by Brett Dunlap Cailyn McKitrick, 5, of Vienna, stood with the Patriot Guard Riders holding American flags Sunday at the dedication of the new Gold Star Families Memorial at the new Spencer’s Landing Park along River Road in Vienna. Photo by Brett Dunlap Members of the Patriot Guard Riders stood with American flags Sunday at the dedication of the new Gold Star Families Memorial at the new Spencer’s Landing Park along River Road in Vienna. Photo by Brett Dunlap People look at the unveiled Gold Star Families Memorial on Sunday at the new Spencer’s Landing Park along River Road in Vienna. VIENNA — Honoring the families who have lost a family member in service of their country was the focus for the dedication of a special memorial Sunday in Vienna. 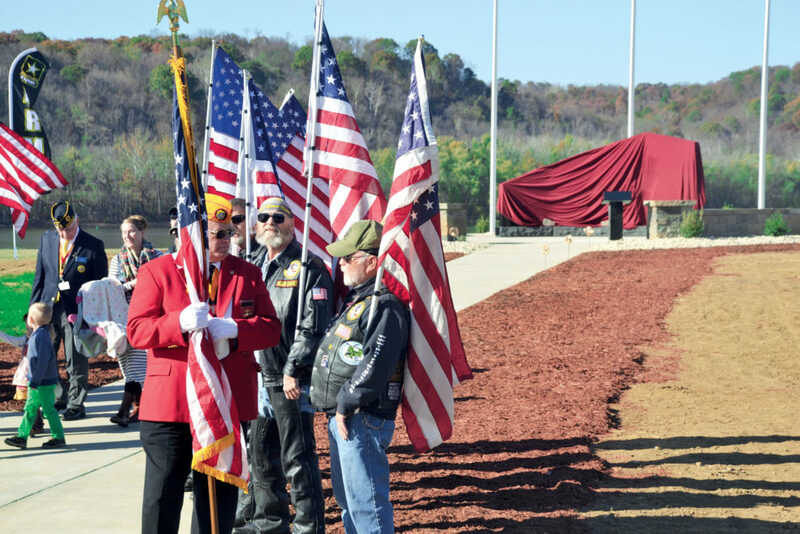 Over 300 people gathered at the new Spencer’s Landing Park along River Road in Vienna for the dedication of the new Gold Star Families Memorial. The special memorial was placed to honor the families who have lost family members in war. Shirley White, founding member of West Virginia Gold Star Mothers, said there were many people who have worked over the last few months to make sure the memorial was placed in Spencer’s Landing Park. White had lost two of her children in service to this country. “They worked tirelessly to make this happen,” White said of the Vienna project. 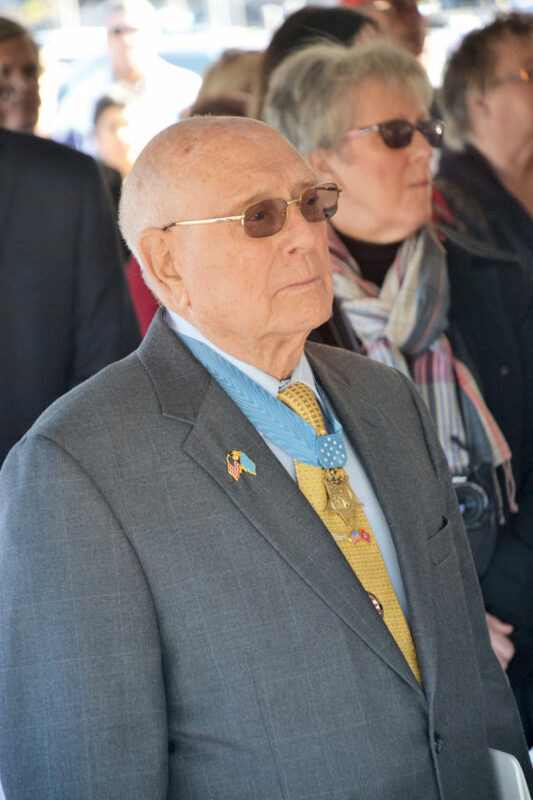 The memorial project was the idea of Hershel Woodrow “Woody” Williams, a retired United States Marine from West Virginia, who received the Medal of Honor for his actions in the Battle of Iwo Jima during World War II. Williams has the goal of getting at least one Gold Star Families monument in every state. The original monument was established in 2013 at the Donel C. Kinnard Memorial State Veterans Cemetery in Dunbar, W.Va., which White attended. Each monument allows people throughout a community to learn about the sacrifices made on behalf of the average citizen, White said. 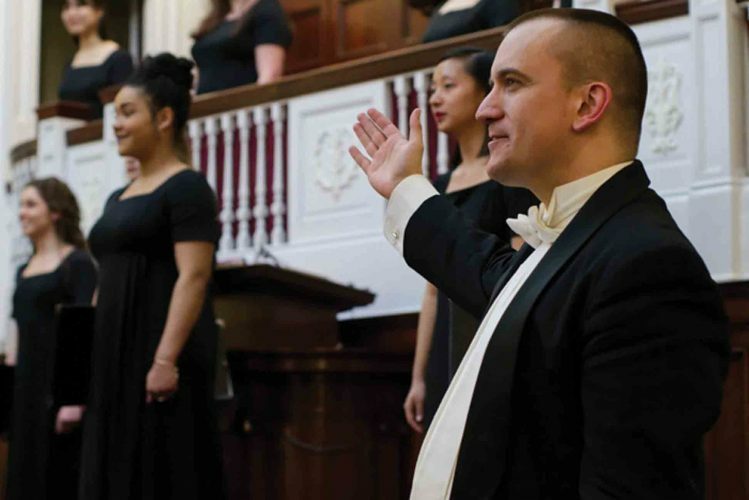 “It is much more than educating and honoring, it is also a reflection,” she said. “Having these memorials gives us a place to come if we so desire. Many Gold Star Families like being able to share the stories of their children. A number of organizations gathered for Sunday’s dedication. The Patriot Guard Riders came and stood at attention with American flags; the Marine Corps League posted the colors; the American Legion did a rifle salute; Carlin’s Battery D shot its two Civil War-era cannons; the Greenmont Elementary School Choir sang; and others participated in the ceremony. 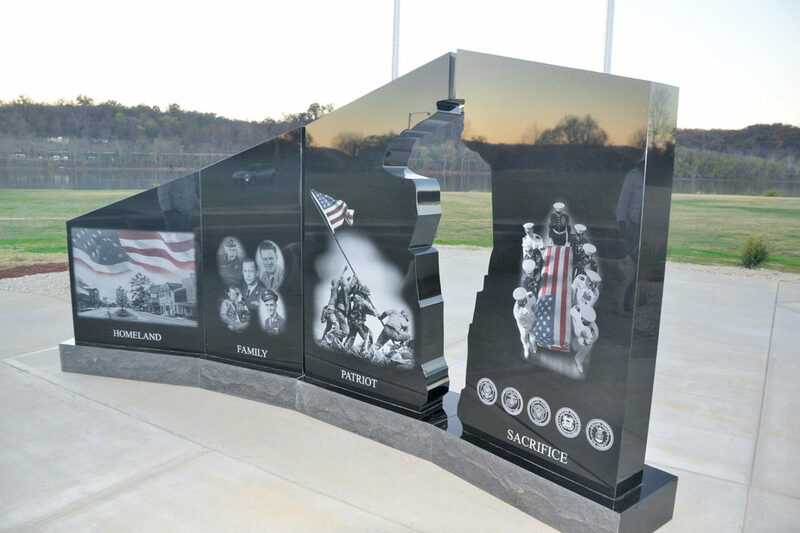 Five local individuals honored on the monument were recognized, including Amos Glenn Henson (U.S. Marine Corps), Junior Ray Linch (U.S. Army), Shirey Lionel “Mac” McMurray (U.S. Army), Jack A. Nohe (U.S. Air Force) and Carl F. “Rick” Raab IV (U.S. Army). Greg Smith, retired Lt. Colonel of the U.S. Air Force, said these veterans distinguished themselves in their service then returned home and made lasting contributions to their local community. 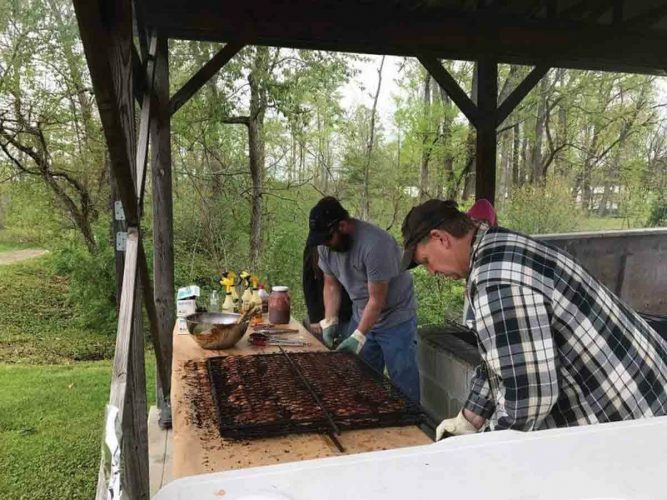 “When you see all of these men who served their country and then came back and served their community, then you really know what it is like to be a veteran,” Smith said. Williams spoke about the sacrifices families make, especially when one member dies in the service of their country. Williams was honored by the turnout from the community. “What a thrill to see this many Americans who believe in and love their country,” he said. “Your presence here speaks louder than words. Williams said the military is made up of people who volunteered to be there. The memorial is a monument to the families who have sacrificed. It is the community that made erecting the monument possible, he said. Memorials honoring veterans who died are all over the nation’s capital in Washington, D.C., but there is not one that pays tribute to the Gold Star Families “who gave so we could be free,” Williams said. 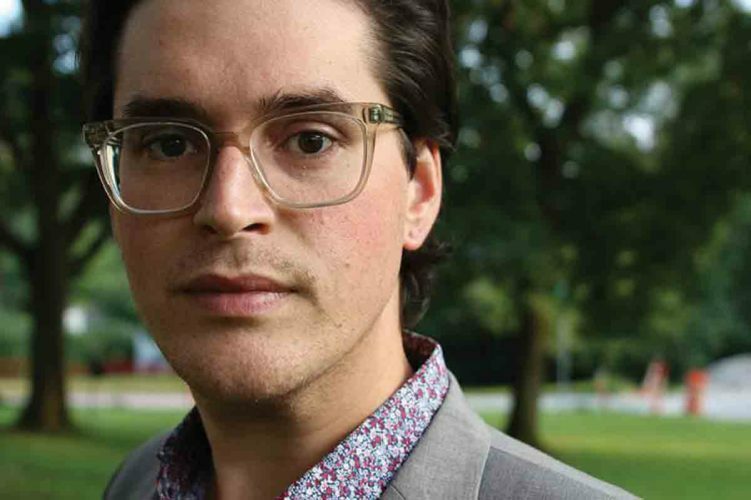 “It is something that is long overdue across this country,” he said. “Let us all remember what freedom really costs.